In search of manupecten pesfelis: Ak Deniz or bust! As the summer sun wends its way farther and deeper into our life itinerary, we have decided to make a journey to the Ak Deniz coast (Mediterranean Sea). We plan to visit ancient sites and interesting towns this yabancı gelin (foreign bride, in Turkish) has yet to see (i.e. Kalkan, Kaş, and the like) and M. hopes have not transformed TOO much into tourist hell from the recherche du temps perdu his mind harkens back to. The chorus of little dancing ladies “ooh” and “ahhhh” at this news, already searching for their bathing costumes and planning for mud baths in Dalyan, where we will stay for a week in Haziran (June). But for M., the resident malacologist, a visit to the Ak Deniz region wouldn’t be fun if we didn’t also plan to search for mollusks. Yes, you read that right, mollusks, as in shells, and in this case, primarily land snails. I think M. knew he had found a true comrade when in the process of making plans to meet Alan (of Archers of Okçular fame), the aforementioned explained that he already had specimen containers ready to go for collecting and documenting the land snails in the Kara Göl or Black Lake area in Okçular and environs. Hopefully this will be part of an effort to preserve what sounds to be a lovely area of Turkiye at risk of what I understand to be the perils of ever-encroaching development. Mercan Bey, the quiet but observant spice trader puppet from the Arabian peninsula perks up at this, suggesting that he too should bring some specimen jars, in case he finds some new herbs or spices to consider cultivating for sale. And this reminds me that I should tell you a bit about what it is really like to either walk on the beach or sightsee in Turkey with my M. Now, you might think that most couples would relish a walk on the beach, perhaps at sunset, holding hands and feeling free and in love. In my relationship, however, it doesn’t quite work like this. Sunset, you see, is not the optimal time for beach walking, as the light is no good. And you need light, you see, in order to see shells that have washed up on shore. Generally, when walking on the beach, M. walks with his head down, almost hunched over, scanning the sand for minute specimens that he picks up seemingly out of nothingness. I am usually a few paces behind, kicking my feet in swirls of warm water, feeling the crunchy ooze under my feet. Kenne, the Queen of Manners and Ladylike behavior, purses her lips in considering this curious behavior on M.’s part, thinking it is not too romantic, but approves of the few-paces-back walking stance I refer to. Hacivad Bey tells me “you know, you cannot get in the way of the scholar, and why would you want to?” and of course, I agree. Although M. wears glasses, I am always amazed at the miniscule treasures he pulls out of nowhere – the term “needle in a haystack” often comes to mind. Several years ago, he spent an entire week at our dining room table on Bozcaada, looking at a pile of sand dredged from a particular spot offshore by fishermen friends for this very purpose. Using a tiny magnifying glass squinched into his eye socket and a pair of fine, scientific tweezers, M. sorted through every single grain of what was in that bucket. I knew better than to disturb M., and instead, lazed around reading books, working on my ayran-mixing skills and napping in the noon-day sun. At the end of the week, M. pronounced his findings – evidence of shells from the Indian ocean right there in the Dardanelles, a product, perhaps, of global warming. Within minutes, he was on the phone to other shell-collecting colleagues and friends, explaining that he had discovered that two families of mollusks are here in island waters for the first time. Think: lots of excited gesticulations while speaking in Turkish on the phone. While the focus of this year’s Ak Deniz trip will be on freshwater mollusks, I wonder what it is M. will find this time. I look forward to the latest malacological hajj of sorts in the making! This entry was posted in Visits from the Karagöz puppets and tagged Dalyan, Dardanelles, Deniz, Turkey, Turkish, Turkish language. Bookmark the permalink. 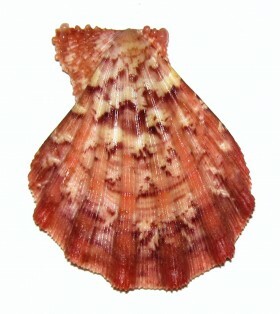 9 Responses to In search of manupecten pesfelis: Ak Deniz or bust! Apart from a few concrete resorts, the coast from Fethiye down and round to Antalya is just wonderful. We honeymooned in Kas, my favourite resort town. Ancient Lycia is littered with ancient cities and monuments. There is so much to see and do. You’ll love it! So, none of that amateur stuff then? A dedicated follower! Ask M to email me sometime with a list of types of habitat he wants to cover whilst in our area. Other than that, I agree with what jack said – the re is much to see and enjoy. I will be going in May. Just counting the days. For a shorter break, some year, try Englewood beach, gulf-side in Florida, just south of Venice. Fabulous sea-shelling and fossilized shark tooth hunting. Great scenery, park you can only walk to, but it is right next to – literally – the Weston resort motel, an old timey collection of older Florida motels. A really fun, laid-back place, and not to far from a great state park, Myakka, with an airboat, and over 1100 alligators. Thank you SO much for this suggestion – we have often spoken about going to Florida – but haven’t known where to go given that we were looking for JUST this kind of place! I am so appreciative!